Robert Brown is exceptional! If you're looking for a classical guitarist (or a duo/trio that includes classical guitar), you want to secure Robert Brown for your wedding. In addition to being an incredible musician with an impressive selection of offerings, Robert is truly a professional. Through every step in the process, Robert empowered my husband and I to choose exactly what we wanted for our wedding ceremony and cocktail hour. He helped us determine the other instruments we wanted for our ceremony, and was extremely flexible with the pieces of music we chose. Several of our guests mentioned how impressed they were with Robert. He delivered an amazing and memorable performance, and demonstrated unparalleled professionalism. Highly recommend! Robert and the rest of the string group we hired for our wedding were absolutely outstanding! Not only did they drive 2 hours to our venue, but they also managed to improvise and still find a way to play at our outdoor ceremony even though it was raining. Robert was very responsive anytime I had any questions, and was willing to personally compose some specific songs we wanted to hear. His pricing is also very reasonable in comparison to other vendors I had looked at. Would highly recommend! Robert was fantastic. He took the time to compose some original arrangements based on some pretty specific piece requests we had. The music was beautiful. Robert was absolutely perfect! I could not have been happier. 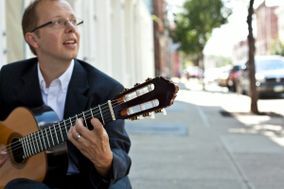 He is a great guitarist, and helped me make the best song choices for my wedding. He worked with my soloist before the wedding to ensure that it was perfect. And, it was!! I highly recommend. Robert was one of the kindest most professional vendors we met during our engagement and wedding. I first contacted Robert to play solo guitar for my fiance and me during the engagement dinner at L Restaurant. A wonderful guitarist and gentleman, he played beautifully and was a perfect compliment to the evening. We followed-up with Robert to arrange the music for our wedding. Unfortunately, he could not play the wedding himself, but arranged for an excellent group of strings to play for us. During the lead-up to the wedding, he worked closely with us to determine the music selections and was very flexible and accomodating. Truly a gentleman and a professional! Thank you! Robert was an absolute pleasure to work with while planning my daughter’s wedding in Cincinnati. He was very welcoming of all of the music selections that we requested. He did not personally play at the wedding, but arranged for the musicians that did play. We had a duet composed of guitar and flute and the music was just lovely. I recommend Robert Brown Music to everyone! We hired Robert Brown as our musician for our wedding ceremony and we were so pleased with his professionalism and the musical talent he and the violinist performed. He was so easy to work with, patient, and knew what we envisioned. Our music made our ceremony intimate and touched all of our guests. We received so many compliments and we even had him play a special request at our closing, One Love from Bob Marley, and he nailed it. Affordable, Professional, and Talented, so worth it for your special day. Robert was so wonderful to work with. It was so easy to email him with any questions and set everything up. He's a true pro and didn't need anything from me. He coordinated his arrival with the on-site coordinator and brought all of his own equipment. I did a lot of research for the perfect musician for our wedding ceremony, and not knowing a lot of musicians in Cincinnati, I reached out to CCM and asked for their help. They recommended Robert, and I remembered reading wonderful reviews about him so I contacted him immediately. He was able to play our favorite songs and hearing the songs in my head from our ceremony still gives me goosebumps! We had a duo- guitar and cello, but he can work with you to get something specific that you are looking for. I would recommend Robert to any of my family and friends- finding the right musician is so important for a wedding! Robert was phenomenal! His talent came through in every interaction we had, from planning the play list, learning two special requests - and even helping with a last minute need for an extra music stand for the ceremony! Many guests commented on how beautiful the classical guitar and cello duo was and how it perfectly captured the emotion of the day! Robert was wonderful to work with, and his musical style was a perfect fit for our outdoor wedding. We wanted something simple and steered away from the typical wedding music which he was able to comply easily. He has plenty to offer in his repertoire and I was able to give him another piece that he was willing to play. Robert was professional and quick to respond, and I appreciated his effort to drive to Dayton to play for our wedding. Robert Brown was exactly what I wanted in a musician for our ceremony. He was professional, responsive to our requests, and his music was simply amazing. I had several compliments from guests stating that they thoroughly enjoyed the pre-ceremony and ceremony music. We had him play renditions of commonly known songs so people could know the music rather than sit there and listen to random playing they may not recognize. He even arranged a song not on his already on his extensive song list for our wedding. I wouldn’t hesitate to use Robert again. He really tied the whole ceremony together and we greatly appreciated his expertise at our wedding. Robert played guitar for our wedding ceremony in Cincinnati and we couldn’t have been happier. Robert was responsive and very flexible throughout our planning process. His repertoire included many songs that we liked and he was happy to learn and make arrangements for a couple of songs we requested that weren’t already in his repertoire (which he did an amazing job of). We received many compliments about his playing and we would definitely recommend him to anyone else! For our wedding we had guitar, violin, & cello during the ceremony & cocktail hour and it was by far one of the best decisions we made. Robert Brown is an incredible musician and was so easy to work with. We were planning from states away so I didn't actually meet him until about 20 minutes before the ceremony, but even then everything went incredibly smooth. We had so many compliments on the wonderful music. Robert was fantastic! He was so easy to work with. When we were choosing a particular song, he played song after song for me until I found one that I loved. There were some composers that I didn't want played, and Robert said "ok" and moved on. I never felt pressure to choose a song that I didn't want. We had Robert play the guitar and a cellist, and I never had to coordinate with the cellist - Robert took care of all of that. Working with Robert was one of the easiest things I did in planning the wedding! The music was also beautiful. We asked him to play some music that we found on his website, and it sounded perfect! Thank you so much, Robert for adding so much to my wedding ceremony! I was so pleased with Robert Brown's services for my daughter's wedding. He went above and beyond my expectations. We requested that he play a Pearl Jam song for the processional that did not appear on any CD. He was able to transpose the song that he could only hear from a YouTube download and he nailed it. If that wasn't enough, he played some beautiful incidental music prior to the wedding ceremony. Robert made it so easy to work with that I never had a worry. I would highly recommend Robert for weddings (or other suitable occasions). Robert was very professional and attentive. He was great! He performed at my ceremony in June. Very responsive. I'd highly recommend. Robert was very accommodating and easy to work with during the wedding planning process! He offered ideas, music selections and even offered to learn new music if necessary! Thanks Robert!! Robert Brown is such a professional!! He found us the BEST string trio (guitar, violin and cello)!! Mr. Brown's arrangements are so enjoyable - our guests were thoroughly entertained with such a wonderful performance. They really enhanced our pre ceremony gathering, ceremony and cocktail hour!! You better get a call in to him because I have already recommended him to so many for 2019! Robert was a pleasure to work with, and we couldn't be happier with our decision to have him perform for our wedding ceremony. His communication is top notch, and his music talents are very impressive. He has an extensive list of songs he can perform, and was ready & willing to prepare & perform a new selection just for us. Thank you, Robert! Robert did such a great job for our wedding! My husband and I really wanted some of the classic rock music that we love, but still wanted it to be classy and elegant for our wedding and Robert sounded perfect! We had even requested some specific songs and Robert learned them just for our wedding. The wedding music was great! Couldn't have asked for a better guy to work with!! 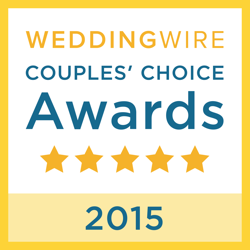 We would highly recommend Robert Brown to any couple looking for beautiful music during their wedding. Robert is a wonderful guitarist and was very helpful, responsive and easy to work with. The cello and violin were additional pieces we chose to add. Robert was a great help in his recommendations to ensure our instrument selections matched the music to be played. The composition during our ceremony helped set the romantic tone of the occasion. Robert was definitely a huge help in creating a special and memorable wedding day! Thank you, Robert! Robert was wonderful to work with. I contacted him far in advance for my wedding ceremony music. He was delighted to work with me and always responded to my emails promptly. He was also very willing to work with me through email because my year was crazy and he even made recordings and would send them via email so I could approve and make a decision. Robert also made a special arrangement for my bridal entrance which was beautiful and all I hoped for. I would highly recommend Robert for any wedding or special event.